Fishing is a game of patience. Grandparents, especially Gpa’s, are known for patience. Even so, fishing with Piper is a challenge. Piper is, well…energetic. She is known for an attention span that sometimes approaches 15 seconds. This amount of concentration is only achieved when you quickly get to the point of the activity. This does not always happen with Piper. Armed with my best Gpa plan, I helped Piper get ready. This involved putting sunblock on all exposed body parts and outfitting her with a hat. This took more time than she thought the whole trip would last. Piper promised to listen to me, stay seated in the boat and at all times wear her lifejacket. We set off in the boat down the cannel by our house. 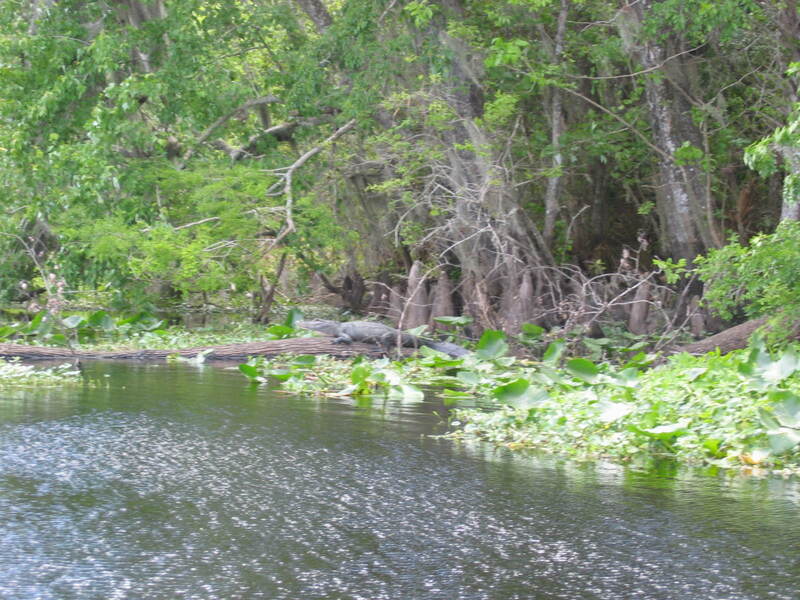 Within 50 feet I spotted an alligator on a log. Thinking this would interest Piper, we motored over to take a picture. She studied the six-foot reptile mere feet from our boat. “He’s not a big one is he?” she asked. It’s hard to impress a Piper. Always has been. As we trolled into the fishing area, her hat blew off into the water. It did not faze her a bit. I trolled over and used the net to retrieve her hat. By then, she was lapping the deck, forgetting about the plan to stay seated. Just as I casted the rod toward the lily pads, hoping to grab her attention with a bite, Piper said she was ready to go home. “Uh..we’re too far out on the boat to go back, Piper,” I said. “I can see Grandma standing on the dock right over there.” It’s hard to fool a Piper. So we trolled back to the cannel by the house. I casted the rod, caught a fish, and quickly handed the rod to Piper. Although happy to reel in her first catch, she refused to touch the fish. She had another idea. We took some pictures of Piper and her first fish. Then we set the fish free and returned the Piper safely to Grandma. 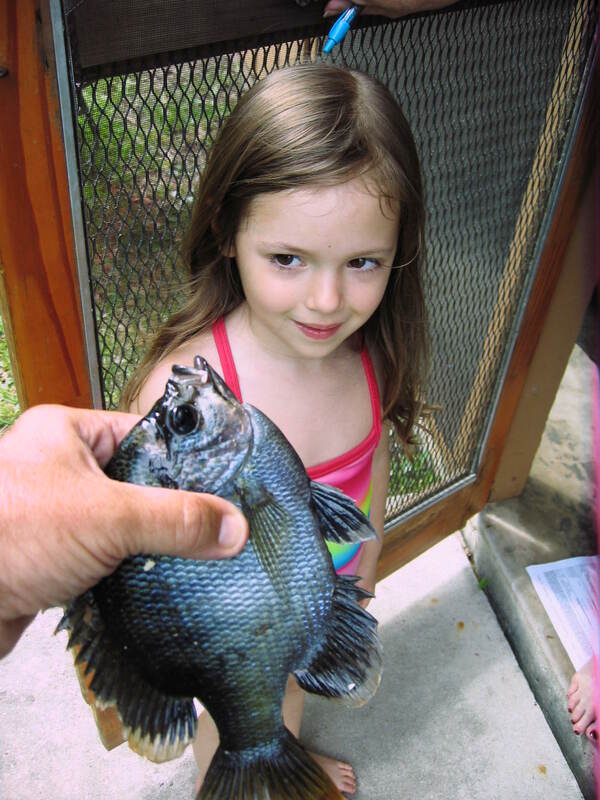 This entry was posted in Antics and Adventures and tagged fishing with grandpa, on the road, piperism, reel in the fish, road trip by melissa.scholes.young. Bookmark the permalink. I haven’t heard G-pa rap, but he’ll do just about anything these days. Wouldn’t surprise me a bit.